Customer satisfaction is key. How do you know your customers are satisfied? 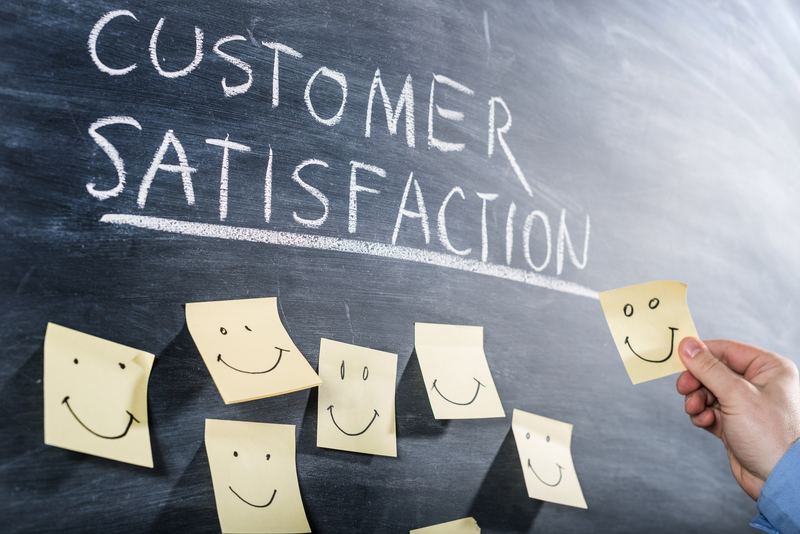 What are you doing to improve your customer satisfaction? Don’t worry, we’re not grading you. However you define and measure customer satisfaction—and whatever you’re currently doing to improve it—don’t underestimate the role technology can play in strengthening your approach. The right tech tools have the power to supercharge your efforts to deliver on your brand promise and delight your customers in new (and very profitable) ways. Customer experience has its own acronym, for crying out loud. “CX” is a big deal and companies are putting a lot of money into it. And they’re getting ample return. According to Gartner, 89% of marketers expect customer experience to be their primary differentiator. Yes, their primary differentiator. Forrester’s US 2016 Customer Experience (CX) Index research found that 71% of businesses are prioritizing customer experience improvements and that, in one example, a one-point score improvement can lead to an increase of $65 million in revenue. Focusing on improving the customer experience makes customers fall in love with your brand. And when that happens, customers are loyal—and less price sensitive, making cross-selling and up-selling easier. They’re also less susceptible to getting “wooed away” by competitors. And bursting hearts turn customers into brand evangelists that provide referrals and free promotion for your business. It all adds up to ROI. Employing the right technology—in addition to a tremendous customer-facing support team—can take your customers’ satisfaction with your brand to new heights to deliver the competitive customer experience you’re aiming for. Cloud-based SaaS technologies are critical players in the battle-for-the-best customer experience. They’re easy to deploy, cutting-edge, affordable, and scalable. And they’re built for today’s on-the-go professional, equipped with mobile functionality and business analytics that make performance measurable. There are several popular SaaS tools helping businesses directly or indirectly increase customer satisfaction: from Survey Monkey (helps generate feedback from customers), Zendesk (helps build better customer relationships), Gainsight (helps businesses grow faster by driving customer advocacy), Hubspot and Marketo (helps manage communications with customers) to Automile (helps businesses manage their business vehicles with its telematics solution). Wait. What Does Telematics Have to Do with Increasing Customer Satisfaction? We’re so glad you asked! With a telematics solution, business owners and fleet managers have the ability to know exactly where their vehicles are in real-time, so they can notify customers when they will reach job sites. The insights and data also help with scheduling, another important component of customer service. One Automile customer’s business growth depends on building strong relationships with customers—and telematics is helping to drive their success. Get the full story in Small Business Owner Spotlight: Phil Schiavone, Nagle Athletic Surfaces. And on that note, find out how Automile Continues to Enhance Product To Delight Customers.